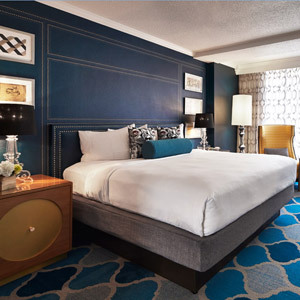 It would be easy to get the wrong idea about the the Embassy Row Hotel. There’s the name, first of all, suggesting a moneyed address and a certain kind of buttoned-up Washington formality. And then there’s the fact that Barack Obama, Hillary Clinton, and Barbara Bush have all stayed here. And indeed, it's located on a street that’s nicknamed “Millionaires’ Row.” But the hotel, first opened in 1970, has undergone renovations to the tune of $15 million. 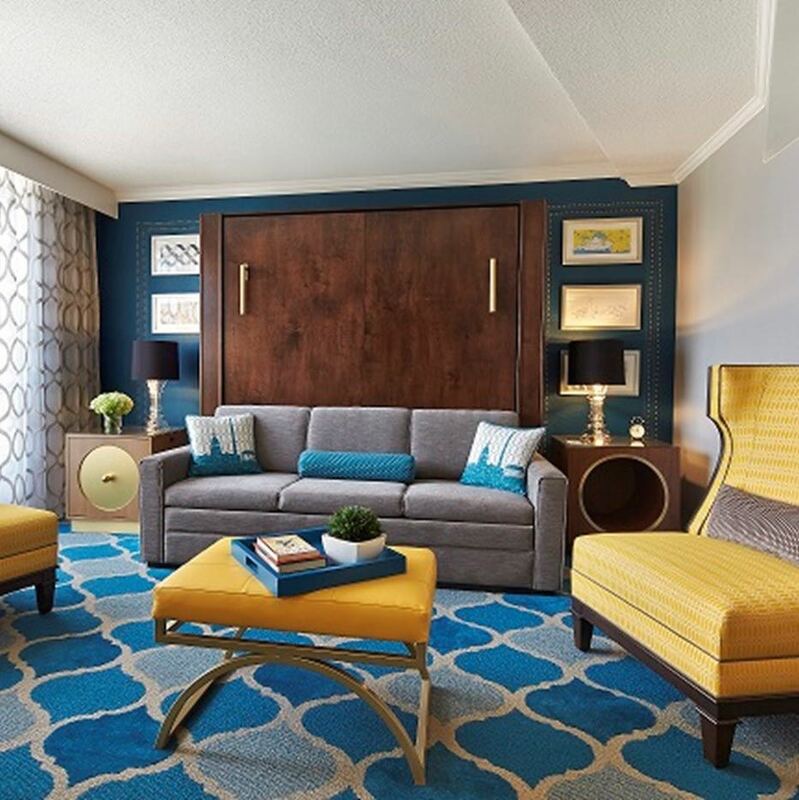 And along with a better cocktail bar and bigger bathtubs, the Embassy Row has a new attitude, one that’s hipper and more youthful, style-minded and LGBT-friendly. You can even bring your dog. Did we mention there’s a rooftop pool? There is. And if you know Washington at all, you know what a rare and desirable a feature it is, especially when surrounded with cabanas and attended by waiters. And open, it’s worth mentioning, to a limited number of local members who pay top dollar for the privilege. Read: you might be sunbathing alongside an up-and-coming politician. 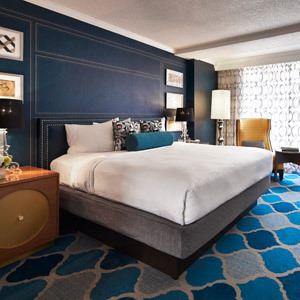 Beneath the pool scene, eleven floors contain 231 guest rooms, each outfitted with Serta pillow-top mattresses, 300 thread-count linens, a pair of 47-inch TVs. 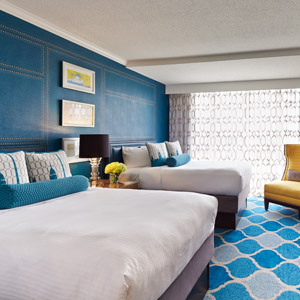 Premier level rooms feature views of the city skyline, plus Keurig coffee machines and L’Occitane bath products. As in the public spaces, the look is Washington sophistication mixed with whimsical modern design: armchairs by Restoration Hardware, leather vintage-inspired headboards, aqua-blue barstools and canary-yellow sofa cushions, boldly striped parquet floors, eye-catching metallic wallpaper, mod sectional seating in the lobby. 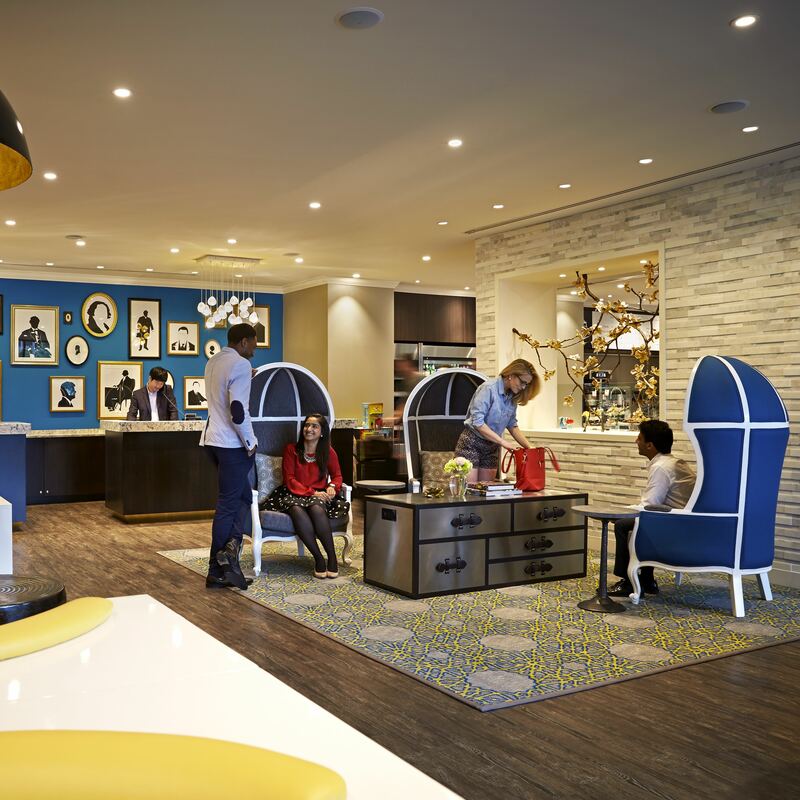 The whole lobby is a conversation piece, which is, of course, exactly the idea. 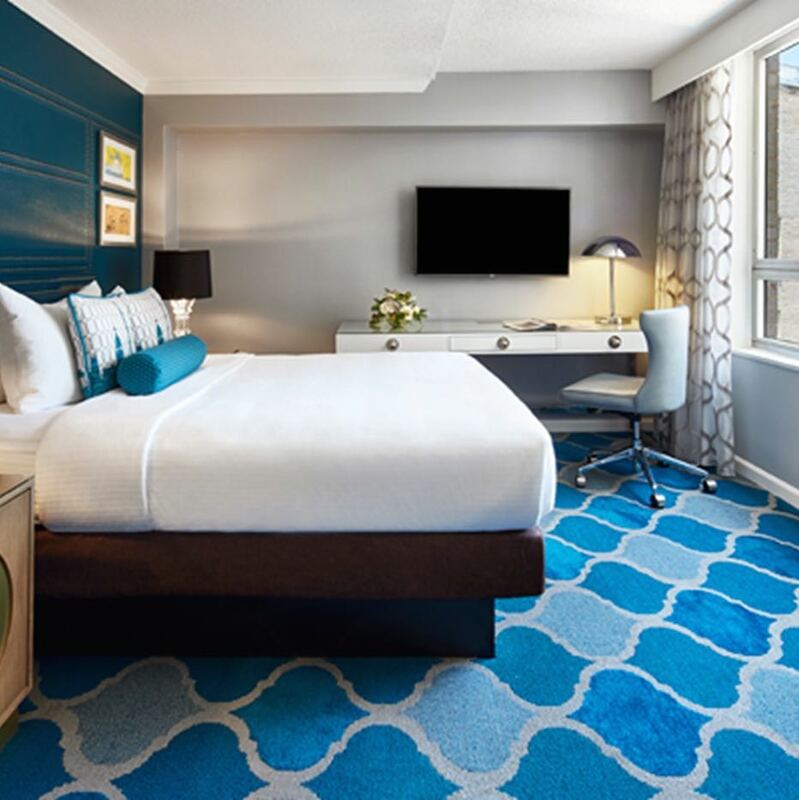 The Embassy Row brands itself as the city’s only “lifestyle hotel” — the kind of place that’s trying hard, and succeeding so far, at bucking the local norm. True, it might be pushing it a little to call the fitness center an “adult playground,” unless sweating on a treadmill is your idea of a little lighthearted jape — but in the scheme of things, it’s a harmless detail. Station Kitchen & Cocktails, known for savory shared plates (bacon lollipops, anyone?) and cleverly named house-crafted bottled cocktails — that’s a mouthful — is closer to our idea of a playground. Like the rooftop bar, it draws the Washington crowd. But don’t worry about who’s getting picked up by a car and driver. That’s so old-school Washington, anyway: the Embassy Row is just a block away from the Dupont Circle metro station.